The Middle East has a rich history that stretches back thousands of years. And, of course, there's all sorts of myths and tales that have been created throughout that time. Capharnaum - The Tales of the Dragon-Marked sets you into that mystic land and time and lets you run around, dealing with thieves, finding genies, and getting you fitted for your own flying carpet. Print copies are available for pre-order now from Modiphius. You bear the Dragon Mark. You are destined for great things, adventures where you’ll write the history of the world. In a land of mysteries and magic, where East meets West on the burning sands of Jazirat, your future awaits. Discover a whole new world, confront djinn, gods and dragons, and take your place among the heroes of the age! 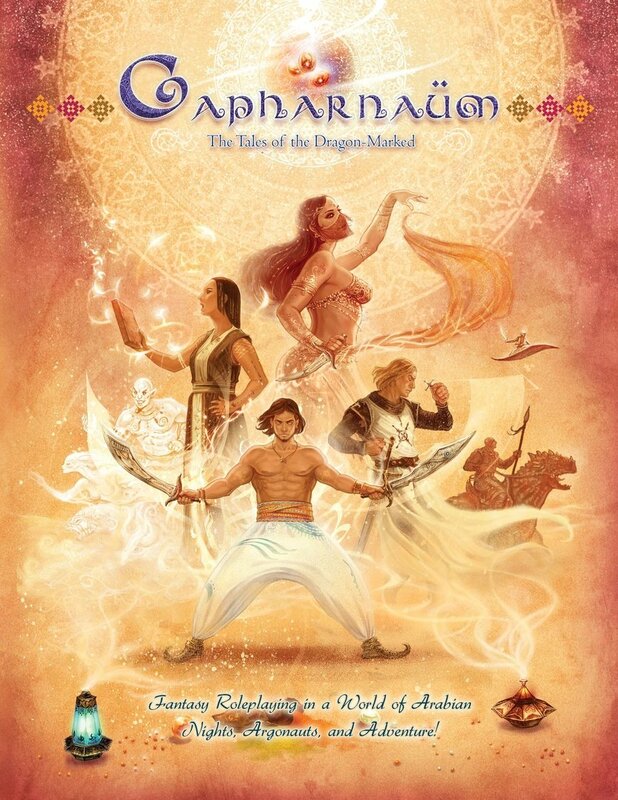 Capharnaum – The Tales of the Dragon-Marked is a fantasy roleplaying game set in a world of Arabian Nights, Argonauts, and Crusaders. Inspired by the One Thousand and One Nights, the myths of ancient Greece, and the legends of the Crusades, it’s where history meets myth, and legends are born.